As promised, here are the re-posted Chrome Dreams companion tracks from 2007. The following live & unreleased studio MP3s are a companion piece, of sorts, to the unreleased Chrome Dreams acetate bootleg posted here last week. The below video is of Neil with Crazyhorse, live at the Hammersmith Odeon, in London March 28, 1976, performing “Like a Hurricane,” which was allegedly to have been the cornerstone track on Chrome Dreams. Without delving into super-obnoxious hyperbole, let’s just say that this performance has the ability to make your hair stand on end. wow, im really glad to come across you. thank you! Thanks for the post! Some of these tracks tend to be my favorites. Just found this blog about a week ago. I must say I’m really enjoying it. Thanks from australia. Thanks so much, these are beyond great. That version of “Human Highway” is outstanding! Pingback: Music » Blog Archive » What is the best music dowload site for older music? I’m wet. Weeeeee! 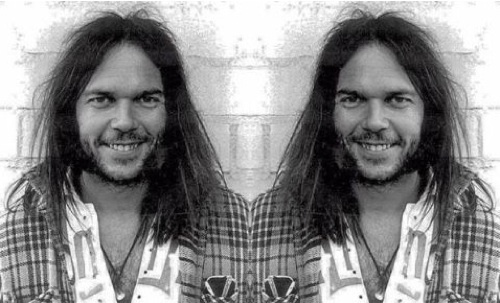 I was introduced to Neil Young in high school by a friend. Love everything of his from this era. Nice clip, I hadn’t seen that version of LaH. I can only imagine how peoples ears rang for days after that concert. I have seen some loud acts at the Odeon and I recall my ears ringing for a week after a Nugent concert. This had to be as loud. Great video–I think this is the same footage that was in “Year of the Horse”–where jarmusch cuts from the late 90’s crazy horse to the 70’s. Wow, I was at the great concert 76!